As I feared, once you reach a certain age, time flies by even quicker than before and that certainly has happened in 2013. Where has the year gone? The only consolation is that speaking with young people, they say the same thing. Perhaps that is a rather sad reflection of modern living for I often found that the time didn’t go by quickly enough years ago! Despite the year having gone by rapidly, it has been a great one with some excitement along the way. January: it is rapidly becoming a tradition that each New Year’s Day some close friends and I go off exploring. This usually includes a museum and food. The year before it had been London with a visit to the National Portrait Gallery followed by afternoon tea at my favourite grocers, Fortnum & Mason. 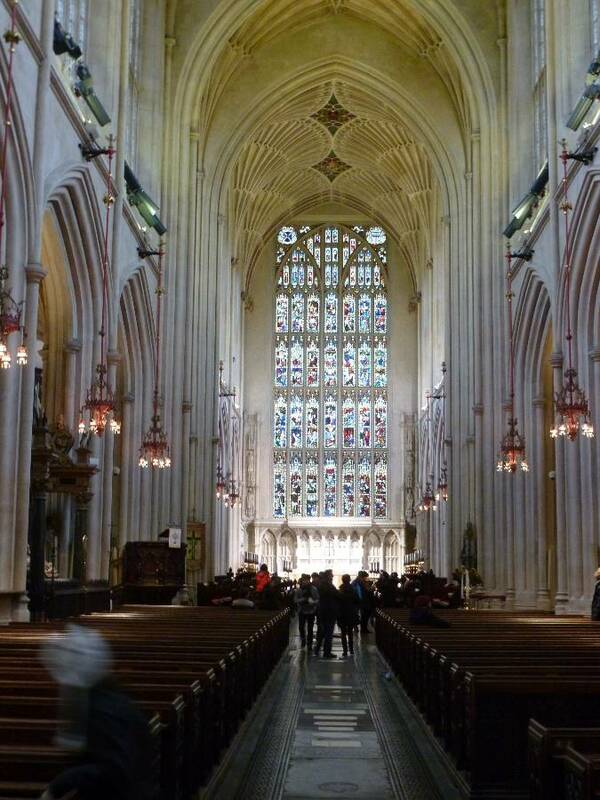 This January it was to the city of Bath with its glorious abbey church where Edgar was crowned King of England in 973AD. The church has the most exquisite vaulting – it is hard to believe that such fine tracery can be achieved by carving stone. Bath, which is a World Heritage Site, is famous for its Roman Baths built about a thousand years earlier and which are open to visitors. A great place to view them from are the Pump Rooms, the imaginary setting of Sheridan’s Georgian play, The Rivals. 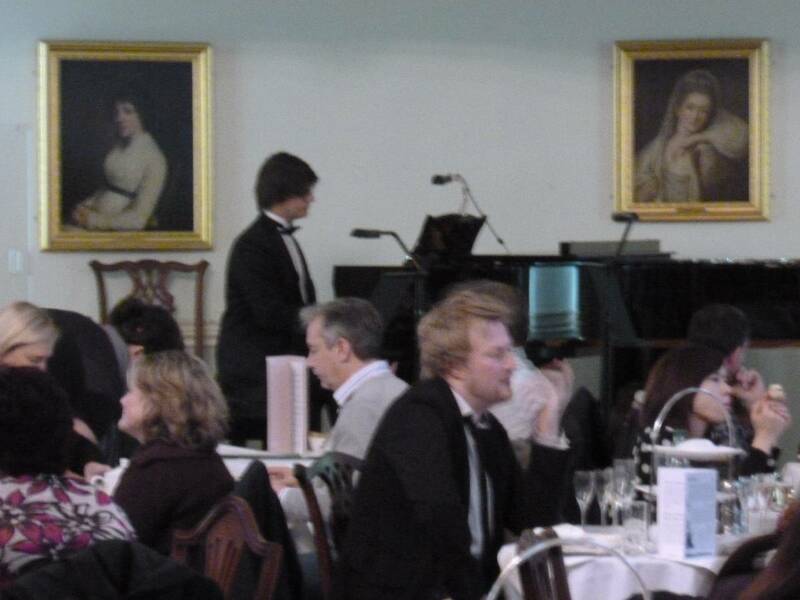 It was here that we had our champagne tea. February was a mixed month weather-wise in the secret valley and one post describes the rain lashing against the windows and the trees being thrown around by a winter gale. Despite that the winter aconites were in full flower advertising the advance of spring and the wild birds were hanging onto the feeders for dear life. 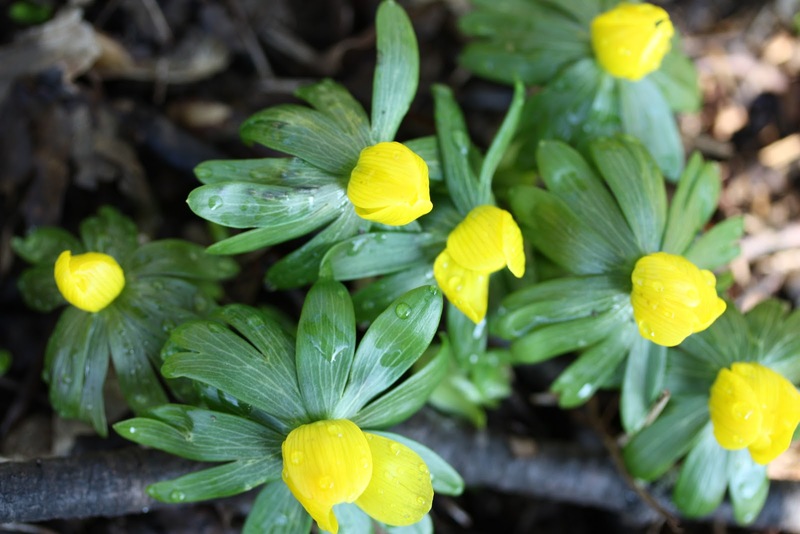 Take away the aconites and we have a carbon copy day as I write this and, although there are no signs of spring yet, we are passing the shortest day which is always encouraging. March was a strange month too with huge amounts of rain interspersed with wintry weather. Even stranger was the affect it had upon the secret valley’s frog population. 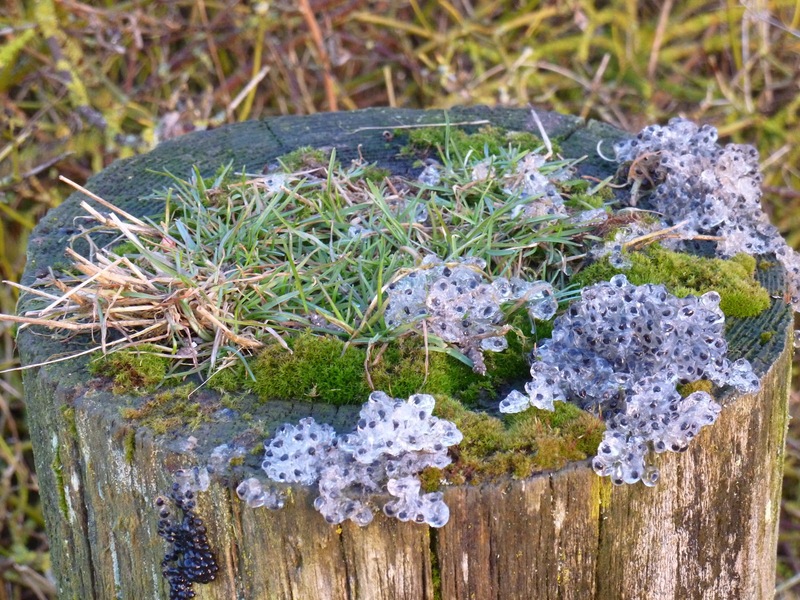 I can only assume that it was because everything was so saturated that, instead of laying their spawn in the small lake that is visible from the cottage, they laid them instead upon the tops of nearby fence posts. They couldn’t possibly have survived there anyway but it was sad to see a few days later that they had turned black and ‘melted’ when a hard frost fell upon them. April is the month of the Chipping Norton Literary Festival. I have been on the committee since its inception and it has been gratifying to find that it has rapidly established a good reputation with authors, publishers and festival goers. 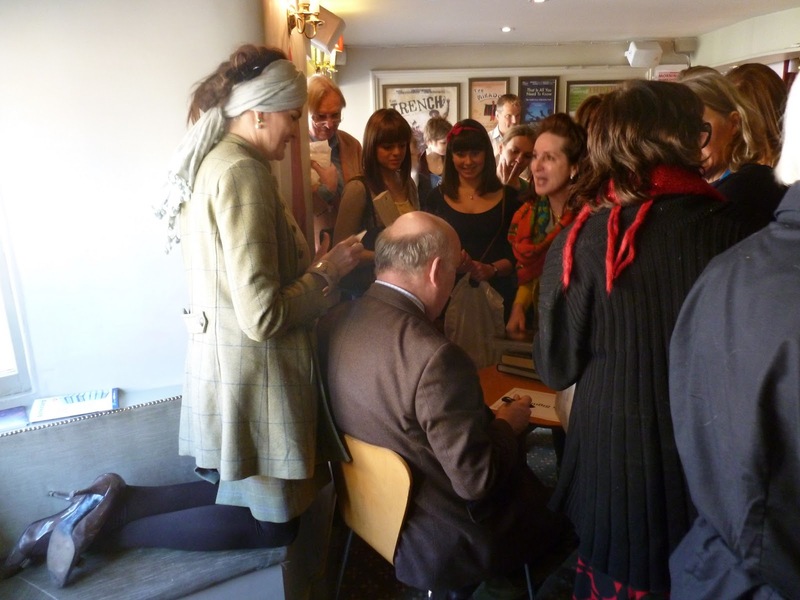 One of the star attractions for 2013 was Sir Julian Fellowes of Downton Abbey fame. Because it is a small festival in a small, country town the atmosphere is very relaxed and it is possible to meet the authors for book signings or just a chat as they stroll about ‘Chippy’. This coming year the festival takes place from 24-27 April and tickets go on sale next month – check out the website for more details. May: As I am always saying the secret valley is a magical place to live and one of the things that makes it so special is its history. Not the history of history books but the type that goes unrecorded other than by the clues it leaves behind in the landscape. Here we have a patch of rough ground left uncultivated that is the invisible site of a Bronze Age settlement. 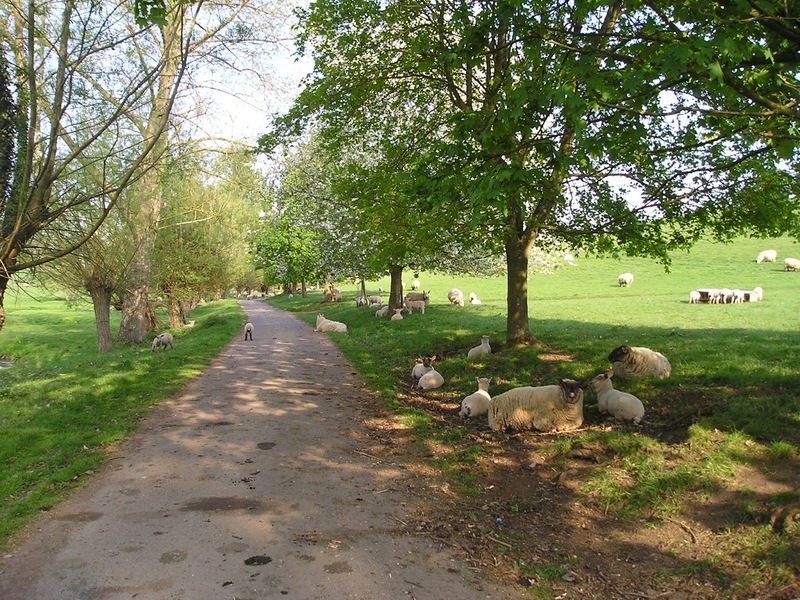 Later, almost to within living memory, the lane was a drover’s route and, in places, the road has been abandoned to become a green track full of wild flowers and butterflies. We still refer to one place as the ‘white gate’ even though it was removed a hundred years ago or more. It feels special to know that the valley has been lived in and loved for over three thousand years. It was also a very exciting time as my gardening book was published accompanied by radio and other interviews. The launch party took place a couple of months later. June is a colourful time of year in gardens and one thing I’ve always wanted to create is an Iris border. This is an extravagance of space that few can afford for they are only in flower for a relatively short time. However, one of my clients liked the idea so the ‘rainbow’ border was created. Interest is extended by daffodils and alliums for earlier colour and Japanese anemones, with large flowered clematis behind, for later on. To read any of the posts referred to above just click on the links, coloured green. 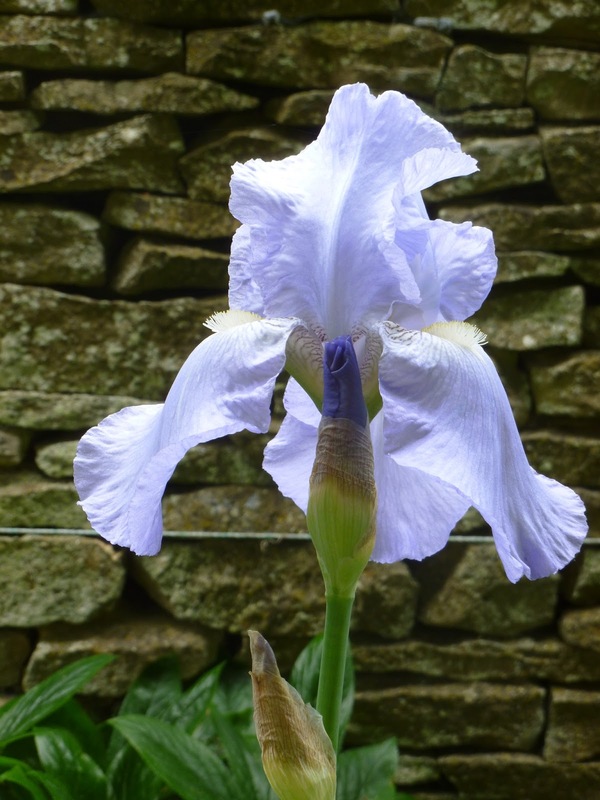 This entry was posted in Abbey, Bath, Chipping Norton, drovers, frog spawn, iris, literary festival, spring, Why Can't My Garden Look Like That? (book), wild flowers, winter by johnshortlandwriter. Bookmark the permalink.